Great South County location. Upper level with 2 bedrooms and 2 full bath. The vaulted ceilings provide a bright environment as well as the spacious bedrooms. Bonus room off of the living room is perfect for an office, hobby area or sitting room. Updated kitchen offers newer countertop, nice tile backsplash, built-in microwave, elec, stove, dishwasher, refrigerator, pantry, laminate flooring and plenty of room for a breakfast table. The eat in kitchen open to living which has sliding door covered porch and additional storage unit. Complex has easy access to HWy 270 and I-55. Neutral decor. Private main laundry. Assigned parking space and plenty of visitor parking spaces. Beautiful inground pool and condo clubhouse. 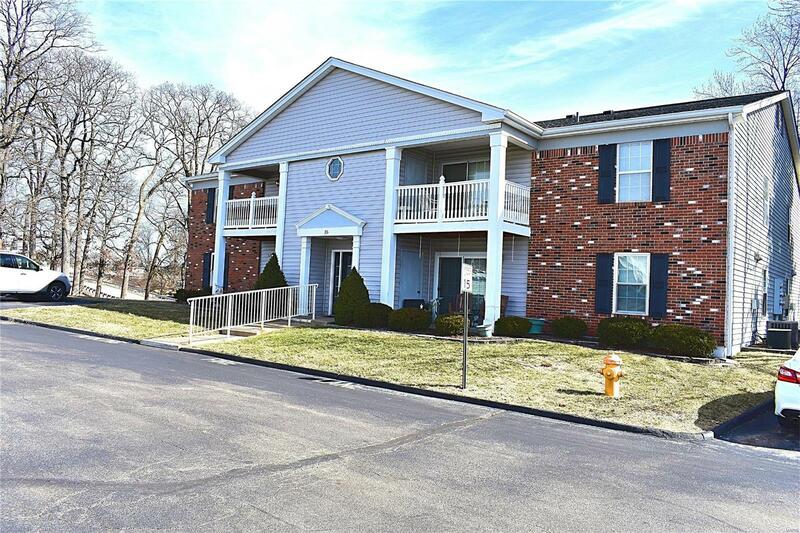 Make this condo your new home today!